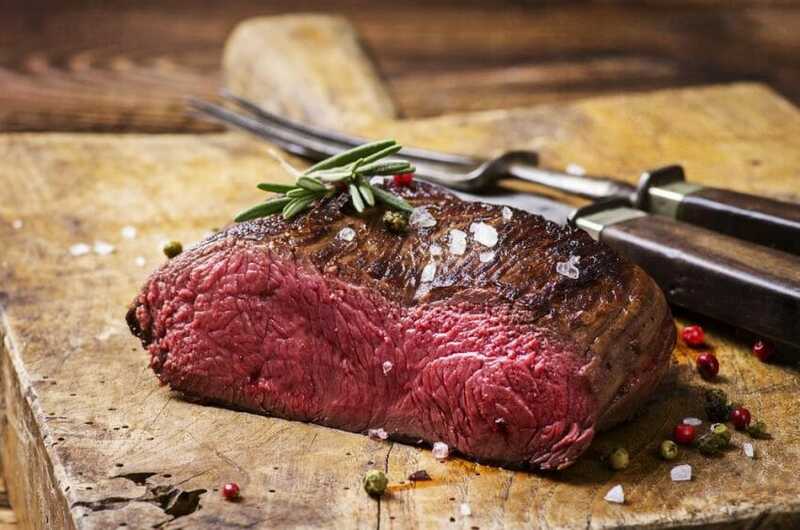 Venison is one of the richest and indulgent meats out there, holding a lot of nutrition and protein to help you get up and going. But what can you do with venison that will enrich its taste and make it a hit at home? 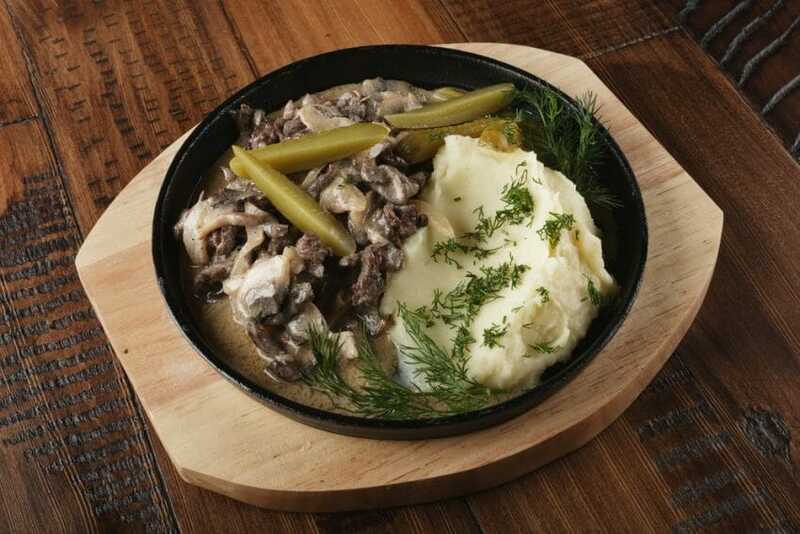 I’ll be showing you a simple recipe of Venison and Mushroom Gravy, which highlights the meat’s flavor and compliments it well with the savory mushroom gravy. Read on as I show you this simple yet delicious recipe! This Venison and Mushroom Gravy Recipe is simple to make and requires almost no time at all. 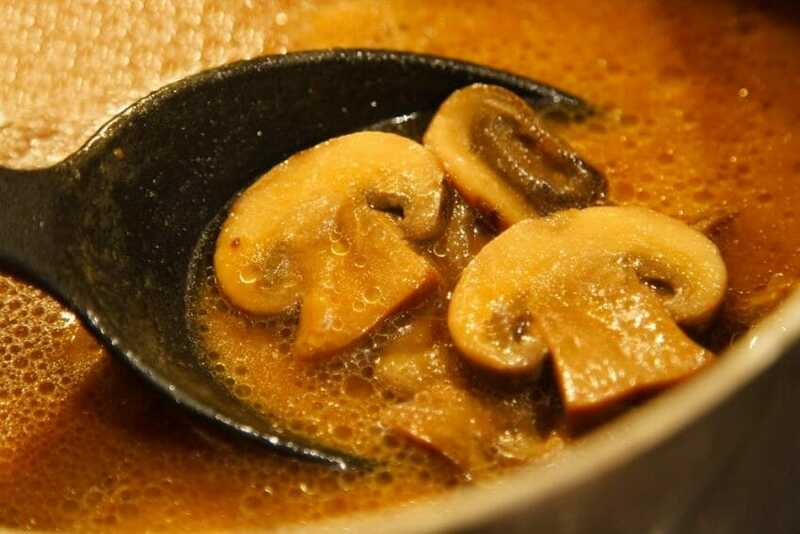 It’s solid and hearty, with the mushrooms boding well with the thick gravy. And with tender venison cooked perfectly, everyone will love the dish! This serves three to five people. Mix the seasoning mix, garlic and onion salt together in a small bowl. Coat it evenly on both sides of the steak. Melt the two tablespoons of butter over medium heat in a hot skillet. Add the venison to the skillet and let it cook for five minutes per side. Once the steaks are done the cooking, sprinkle fresh pepper over it and cut it into cubes. Now it’s time for the gravy! Add the tablespoon of butter and olive oil in a large pan, sautéing the venison for about five to seven minutes. Remove the venison from the pan and add the mushrooms, sautéing it on high heat for two minutes. Add the broth and soy sauce right after. Mix the flour and water together. Then, lower the heat and stir the gravy slowly, adding the flour and water mixture while doing so. After it is now thick, add the venison and let it cook for five more minutes. Turn off the that and serve it over rice or noodles. Enjoy! I hope that this easy Venison and Mushroom Gravy recipe gives you an idea on what to do with your fresh game! So don’t wait any longer and start cooking, trying this recipe out. If you want to start cooking and whipping up awesome recipes with your game, then check out the Sugarykitchen.com, where I show you a ton of recipes and tips to help you get started on cooking.